The Southern Pudu is one of the smallest of all deer species, as well as being one of the smallest of the ungulates as well. 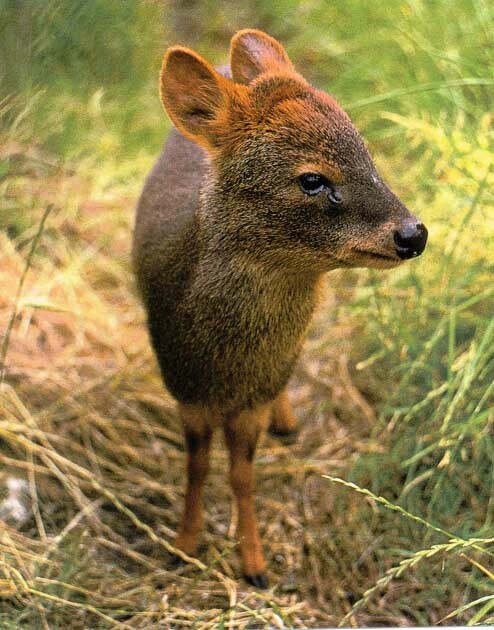 It is close in appearance to its relative, the Northern Pudu, but is smaller still than that diminutive animal. Their coats are rough and thick, and colored a brown black. They have a short tail, with smaller rounded ears and tiny antlers, which grow into simply spikes rather than branching off. The antlers are removed, fall off that is to say in July and August, and begin immediately to regrow rather than to stay off for any given time. The Pudu also has periorbital scent glands which are quite large. The southern Pudu ranges over much of Southern south America, where it is found primarily in the Andes, Chile and Argentina. Colombia,. Ecuador and Peru. It is a great deal more adaptable than many of its cousins, and will live on the side of mountains up to about 6000 feet, but will also be found at lower altitudes, and along the coastlines. It prefers deeper woodlands with a great deal of cover as opposed to open pampas or prairies, being a secretive animal. The forests also provide cover from the predators, many of which find him a readily available meal. They do however go out into the open quite often to graze or feed, and when necessary to find water. The life of the Pudu is influenced greatly by the seasons that it lives through, and it reproduces in a seasonal way. The rut comes along in early autumn, much as any other deer, with this being in April and May in its habitat, when it will breed. After a period of about 200 days, a single fawn is born with brown coat and white spots which serve it as camouflage from predatory animals. They rely solely on the mother for food, nursing until about 12-14 weeks of age when they are weaned. They are mature and able to bear their own young at about a year old. The Pudu lives in smallish family groups, and use trails, or traditional paths to get through the thick vegetation, which they will form tunnels through to remain hidden from predators. They will normally feed in early morning and late afternoon. The pudu stand about 15-18 inches tall, and from head to end of body will measure about 3 feet. Their tail wll measure about 3 inches long, and rarely do they weigh more than 30 pounds, with the average being about 15. The Southern Pudu eats grasses, leaves and fruits, being entirely an herbivore. They are classified as a vulnerable species. Their numbers have declined due to their primary temperate rainforest habitat being destroyed and cleared for cattle ranching and other human developments. In the wild they will live between eight and ten years. These are really cute animals, we need to save them. They kind of look like bambies. If we dont save these animals then who will. Just think if this animal goes extinct what is going to be the beauty in our lives and if we continue all animals will become extinct and there will be no beauty in this world. Besides if it doesnt stop we will have to stop it ourselfs wether its 3 peaple or 3,000 peaple we need to fight for our animals. Oh and if your a poture out there and you read this you are a IDIOTIC PERSON. I’m doing a research project on this animal and this gave me a lot of help!!! 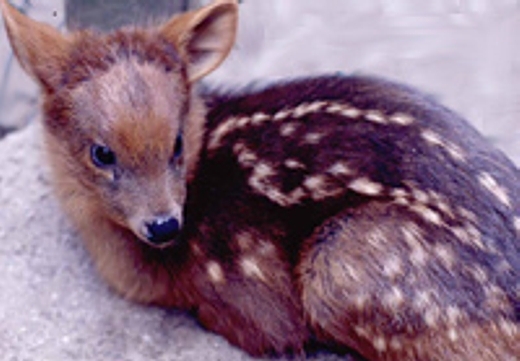 The southern pudu is the cutest animal they are my favorite animal. It is sad that they are going extinct. We all need to help them,they don’t deserve this at all!!!!!!!!!!!!!!!!!! And you potures are the DUUUUUMEST people ever to not see the beauty in the southern pudu.